Portugal won the Friendly match against Finland by 2-0, in a match where the Portuguese player Rúben Micael made his International debut and scored twice. Cristiano Ronaldo was absent due to injury and keeps recovering in Madrid. Portugal defeated 2-0 in the second International friendly match in a row, in order to prepare the match against Norway for the European Qualifying rounds, in June. Once again, Cristiano Ronaldo wasn't available and therefore didn't play. Rúben Micael, F.C. Porto midfielder, scored twice on his international debut as a second string Portugal side shrugged off Cristiano Ronaldo's absence due to injury, to beat Finland. Paulo Bento, the Portuguese National Team coach, made eight changes to the side that started Saturday's 1-1 draw, against Chile, but the Portuguese side responded well and went scored the first goal right on the first 10 minutes, with F.C. Porto midfielder Rúben Micael sliding to finish a Ricardo Quaresma cross into Otto Fredrikson's net. The Finnish team were timid going forward and only came close to equalising in the 33rd minute, when the Finnish Daniel Sjolund sent a volley over Portuguese goalkeeper Eduardo bar, currently playing in Genoa, just after a fine pass by Roman Eremenko. With Cristiano Ronaldo sidelined due to injury, Quaresma and Danny took the opportunity to shine on the wings but their crosses were met by wasteful finishing by their team mates, particularly Besiktas striker Hugo Almeida. That could repesent a worrying sign for Portugal next matches but Cristiano Ronaldo return in June's game against Norway, could very well resolve that issue. Luis Nani came off the bench on 68 minutes and made a difference almost instantly, winning a ball in the Finnish own half, just two minutes later and squaring it for the unmarked Rúben Micael, to score his second goal with an easy tap-in on his International debut. Portugal are second in Euro 2012 qualifying Group H, three points behind of leaders Norway, with the two sides expected to meet in Lisbon, on June 4. 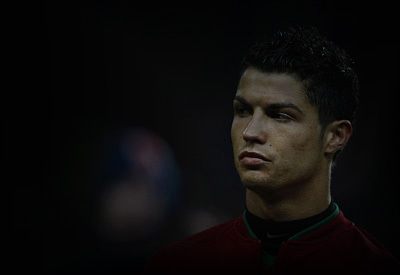 If all goes as expected, Cristiano Ronaldo should already be able to give his contribute by then. Portugal: Eduardo; Nélson, Pepe (Ricardo Carvalho, 78), Bruno Alves, Fábio Coentrão (Silvio, 61); Raúl Meireles (Paulo Machado, 61), Carlos Martins (João Moutinho, 45), Rúben Micael (André Santos, 75); Danny, Hugo Almeida, Ricardo Quaresma (Nani, 68). You may watch Real Madrid vs Sporting Gijon livestreams, online here on ronaldo7.net next Saturday, even though Cristiano Ronaldo won't play.